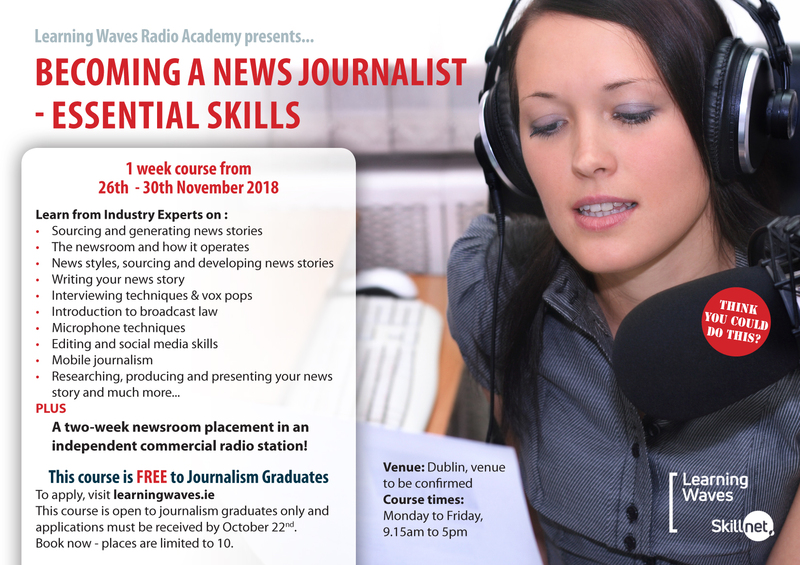 Learning Waves Skillnet is looking for journalism graduates to take part in a one week Bootcamp course from 26th November to 30th November in Dublin. The course will be followed by a two-week placement a newsroom in one of the independent commercial radio stations in Ireland. During the work placement, graduates will have the opportunity to research, produce and present a news story/feature for the station they are placed in. Alongside the production of on-air content, graduates will be required to publish the story/feature on the radio stations website and social media platforms. The one-week bootcamp will be delivered by News Editors from across the sector who will outline the role of the news journalist, researching and producing content, writing your story, voice training and presenting on-air, broadcast law and mobile journalism. 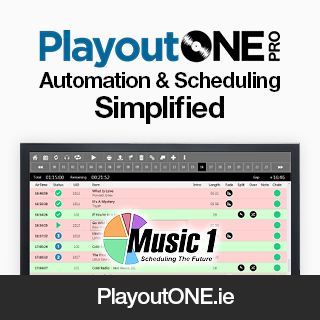 The course is 100% funded by Skillnet Ireland and is free to graduates. Following the successful completion of the course there will be further opportunities for graduates to engage with Learning Waves Skillnet on future training programmes which will enable them to progress their career. The course is limited to ten places so early booking is advised. More details available here or by emailing teresah@learningwaves.ie.